Welcome to The Finishing Company. Our company began business back in 2001 and has been responsible for providing outstanding service ever since, with owner/manager Craig Bishop taking his considerable painting experience into his own business. Eighteen years later and The Finishing Company now services not only the Ashburton district, but also the greater Canterbury area. In addition to private and commercial work, The Finishing Company also provide insurance quotations for all major insurance companies. No job is too big or too small. From the smallest room in your granny flat, to an award winning home or the largest commercial building, The Finishing Company is the team to call. You can reach us at 03 307 8870 or 0800 832 274 and by fax at 03 3081974. 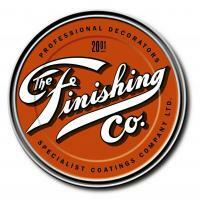 You can also contact us at our e-mail address: admin@thefinishingcompany.co.nz. or go to the Contact Page and send us a message.